Ellis shares a range of practical techniques and methods to help improve policy and procedure documentation within the healthcare sector. Dylan Jones: Thanks for sharing time with us today Ellis. Can you give a quick introduction about yourself and your company? Ellis Pratt: Thanks Dylan. I’m a director at Cherryleaf Ltd, a technical writing services company based to the west of London and in Brighton. We help organisations deliver clear and simple content that users and staff understand. This is often user-focused content for software, medical equipment or IT hardware. Things like user guides and online Help. We also write and improve business documents, such as policies and procedures, for NHS Trusts, charities and corporate organisations. Dylan Jones: Okay so we’ve written in the past on Data Quality Pro about how simple data quality issues in the health sector can have far-reaching consequences. What are some of the data related issues you’ve witnessed as a result of poor documentation management and policy control? Ellis Pratt: Healthcare Trusts need to ensure their staff behave in the right way, and one of the ways they communicate this to staff is through policy and procedure documents. I should state, we’re talking about non-clinical procedures. Let’s take one scenario for large NHS Trusts with staff working out of more than location than usual and needing to send out faxes. The risk is that when staff are working at a different hospital, it could be in a different STD code area. Use just the local number, forgetting to use the STD, and there’s the risk of patient records ending up on fax machines in hairdressers, chip shops and all manner of places. Another common risk can be staff using Web-based email accounts to send messages. Many staff don’t realise that, even if they delete a message once they’ve sent it, the email service usually stores a copy in its cache or backups. These avoidable breaches would typically lead to a disciplinary case, tying up a huge amount of time for both management and staff. Dylan Jones: What are some of the underlying root causes for these problems? How do NHS Trusts find themselves in this situation in the first place, surely there are best-practices and standard operating procedures that must govern how a Trust manages their information? Ellis Pratt: There’s a temptation whenever anything goes wrong to say “there needs to be a policy for this”. The consequence can be that the Trust issues more and more policy documents, with some content overlapping between them all. For the poor old staff, it means every time they are expected to do something, such as copy a file onto a memory stick, or send a file by email, they are expected to conform to six or seven different policy and procedures documents. Nobody can remember all of that, and it’s unrealistic to expect them to have all the relevant document manuals spread open on their desk. Instead, they’re more likely to use a mixture of intuition, common sense, what they remember from their induction training and what’s communicated verbally by other staff members. For those involved in setting the policy and procedures, there’s another set of problems. Often, the documents are written by people who may not have been trained in how to write policy and procedures documents. One consequence of this is often policies and procedures are mixed together. In most Trusts, policies must be approved at board level, which means it takes a long time to amend a document. Procedures can be approved at department level, so this lack of distinction in the document between what are the policies and and what are the procedures can slow up changes unnecessarily. Another consequence can be that writers use the passive voice instead of the active voice when they write sentences. If you use the passive voice, it can be unclear who should be doing what, when and where. As a simple guide, If you can add “by zombies” to the end of a sentence, and it still makes sense, then you’ve used the passive voice. One of the advantages of using the active voice is you can write documents that are focused on the roles within a Trust, the tasks and scenarios staff might face. For example, you can write information along the lines of: If this happens, you must do this. We found other issues with the documents, but these are the main three. 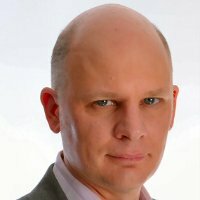 Dylan Jones: What are the financial implications of some of the legacy documentation management approaches you’ve witnessed? Ellis Pratt: Firstly, the result can be the policies and procedures are not understood or followed by staff. Secondly, the information given to staff can be incorrect – out of date, misleading, contradictory and so on. Patient and staff data confidentiality is a key issue for NHS Trusts, and there are financial penalties if Trusts get it wrong. For example, in May 2012, Central London Community Healthcare NHS Trust was fined £90,000 for a data breach. In June, Brighton and Sussex University Hospitals NHS Trust was fined £325,000. In August, Torbay Care Trust was fined £175,000. I wonder how many of these were as a result of policy and procedures documents that just weren’t doing the job they were intended to do. Dylan Jones: Ok, so there is clearly a need to get this right and major penalties if ignored. Who should be responsible for driving forward an initiative to improve policy management and data quality through better documentation procedures? Where does the sponsorship typically come from? Ellis Pratt: Generally from the person responsible for managing the policy, processes and procedures. That’s often some in the Information Services department. There needs to be support from those that are the “owners” of these documents – those who are responsible for the policy. So that means support from the Board. There’s a danger of seeing this as a technology problem, requiring a technology solution. In fact, it’s more an information problem. It’s a problem of poor information design and structure, as well as communication. This means the project should be driven by someone who can see the issues in this way. Dylan Jones: If these people are reading, what practical advice could you give them for getting started? What would an initial plan look like for them? Which topics does the document cover? Who “owns” the individual policies and procedures? When it comes to writing the document, you need to write in a modular, component, based way. To anyone used to dealing with databases, it’s a familiar concept. You can take these chunks of text and re-use them in more than one place. You can arrange them in different ways to create a range of documents. For example: create documents tailored to a particular role, publish a paper quick reference document, and publish a version that can be read on a mobile phone. You can make a change in one place and see that change ripple through all the documents that use that piece of information within them. 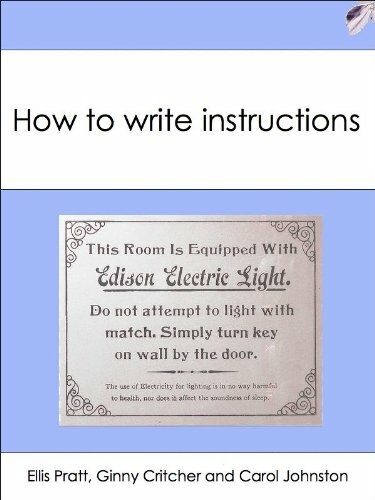 However, for many people used to writing letters and essays, and using Microsoft Word, it’s a new concept. Where a professional Technical Author will be happy to write structured content to an XML schema, an occasional NHS policy writer needs something that’s easy and familiar to use. So in our training courses, we emphasise that each chunk, or module, of text should be on a single topic, and be preceded by a heading that describes what’s coming next. If you find you’re talking about two different things, the writer should break the content into two separate topics. Using this approach, you won’t mix policy with procedure, mandatory actions with best practice, and so on. It makes it a lot easier for the reader to find and understand information that’s structured in this way. There are low cost, easy to use, authoring tools available that encourage topic-based writing. There’s one in particular that we like that costs around £20/year for a team of 10 writers. That’s cheap! It sits on a server, and people write their content using an easy-to-use browser-based authoring environment. We don’t sell software, so that’s not the reason why I’m saying this. Where we are taking existing policy and procedures documents and improving them, we will import the Word documents into a Content Management System for documentation and break them down into individual topics, or chunks of text. We’ll then amend the content so each individual policy or procedure is easy to understand. We can then drag and drop the topics to different places in the structure of the document, so that information is in the right location. Often, we’ll find that content is repeated, so we can then delete or merge these topics. We can then publish the information as Web pages, Word documents and PDF files. We can create different versions of the documents for different audiences or focused on a particular subject. It’s a fact of life that many Trusts are wedded to Microsoft Word. So when the project is completed, and we handover the completed documents to the Trust, we can give them the updated documents in Word format, together with a Word template that they can use to maintain consistency in the future. Even in Word, if you write in a modular style (a heading followed by text on a single topic) you’ll will create documents that are easier to understand and easier to maintain. Dylan Jones: Let’s end on a really positive note. What are some of the tangible benefits of improved policy control and data quality that you’ve witnessed? Ellis Pratt: So you’re asking me, what are the benefits of clear and simple documents? It’s the pleasure of a staff member saying, now I understand what you expect me to do, and the pleasure for the Manager of knowing he is being understood. From that leads better compliance, productivity, efficiencies, fewer disciplinary procedures et cetera. For me there’s a benefit that’s less obvious to see at first. That is the information is now maintainable and manageable. Seeing a document move from being put on the shelf, and almost set in aspic, to one that is updated on a regular basis is a real pleasure. It’s great to see the incremental improvements, the comments and questions from staff showing they are now reading the information, build into tangible benefits over time. Dylan Jones: Thanks for sharing your time with us today Ellis. If companies want to find out more about solving these types of challenge how can they contact you or get additional information? Ellis Pratt: They can contact me via ellis@cherryleaf.com or 0208 13 31 301. We have a webinar on the 21st November that covers this topic in more detail and we have a number of free guides on www.cherryleaf.com that might be of interest. I’m always happy to have a chat with people, so feel free to contact me. Ellis is a Director at Cherryleaf, a technical writing services and training company based near London, UK. He has 15+ years’ experience in the field of documentation, a BA in Business Studies and is an Associate of the Institution of Engineering and Technology. 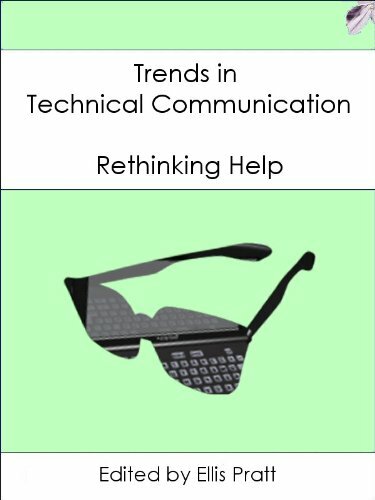 Ranked the most influential blogger on technical communication in Europe, Ellis is also an author and editor of two books: ‘How to Write Instructions’ and ‘Trends in Technical Communication’. He is a black belt aikido instructor in his spare time.